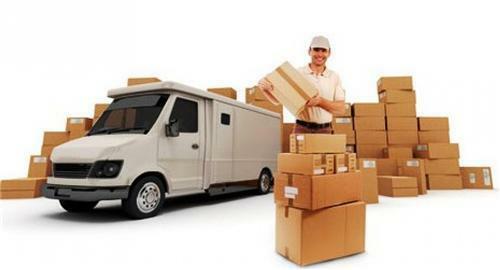 We are ranked amongst the renowned organizations that are engaged to provide the best quality Courier Service. The offered service includes picking up of parcels and commodities and transporting them from one place to another. This service is executed by our highly qualified professionals using premium grade methods and techniques. Further, the provided service is performed as per the clients’ specific needs with respect to their budgetary constraints. Founded in the year 2003, at Gurgaon (Haryana, India), we "Dolfhin Courier & Cargo Services" are the foremost Sole Proprietorship Company, engaged in offering the best Courier Service, Transportation Service, Cargo Service, Logistic Service, etc. We are supported by a team of highly skilled and experienced professionals, who possess years of experience in this domain. Our professionals provide these services in an excellent manner. The offered services are widely appreciated by our clients for their cost-effectiveness, flawlessness, high reliability, and timely execution. We perform these services as per the various requirements of our esteemed clients. To perform these services, our professionals help our clients to transport their goods from one place to another within a promised time-frame. Furthermore, we offer these services to our valuable clients at most competitive prices.